If you just stick with the big names in winter resorts in Southern California (Snow Summit and Mountain High) you will end up frustrated if you just want to take your kids somewhere where small children enjoy snow. Why? Once you get to any of these big winter resorts you will see some large signs as soon as you come close to the ski slopes. These big warning sings read something like “Only skiers or snowboarders are permitted beyond this point.” In other words, nobody has access to the slopes unless they snowboard or ski. In addition, there are no official snow play areas at any of these large Southern California ski resorts. What’s going on? Where can you take your small children just to play in the snow? Fortunately, there are a few places in Southern California where you can take your kids to simply play in the snow. So, where can you take your small children to play in the snow in Southern California? 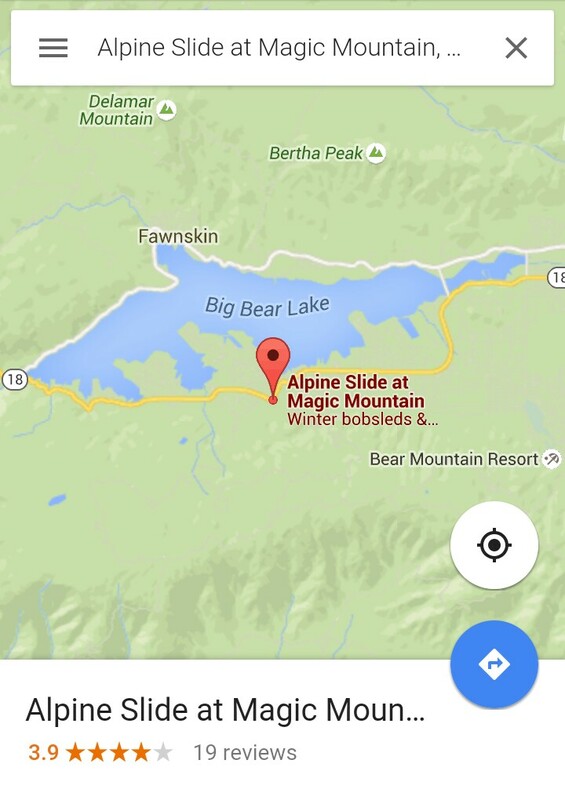 On the east end of Big Bear Lake you can find Big Bear Snow Play which is right off the main road (Highway 18). 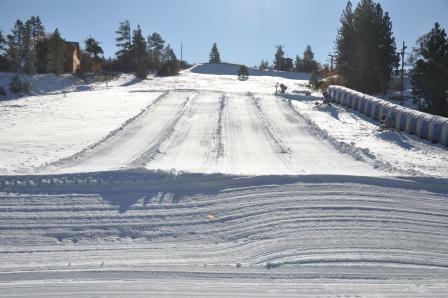 Inner tubes at the bottom of the small slope at Big Bear Snow Play. For $25 you can go snow tubing the entire day on groomed slopes. 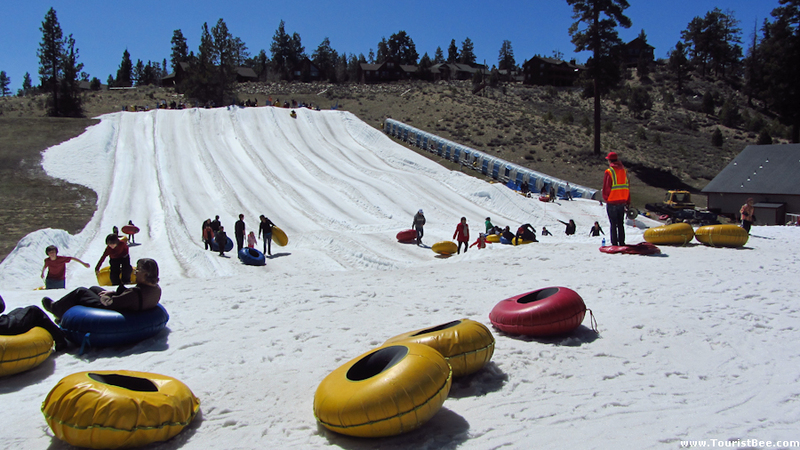 The slopes at Big Bear Snow Play are good for tubing as they are pretty long and well maintained. In addition they have a moving carpet kind of lift which makes it a lot easier to go up the mountain. When you’re planning your next trip to Big Bear Lake, you can find discounted hotel rates here or if you’re on a budget or can’t find any room in Big Bear, you can stay at my favorite hotel at the base of the San Bernandino Mountains. Another commercial snow play area in Big Bear Lake is Alpine Slide. It is located on the opposite side of town from Big Bear Snow Play, closer to Running Springs. They have water slides in the summer and groomed snow tubing in the winter. The snow play slopes at Alpine Slide are well groomed and great for small children. For $30 you get unlimited day pass to all the snow play slopes. The great thing about Alpine Slide is that they have snow making equipment so they usually open earlier than other snow play areas. If you are planning a trip to Big Bear here is my favorite hotel closest to both Alpine Slide and Snow Summit. Snow Valley is very close to the town of Running Springs on the way to Big Bear’s Snow Summit. If there is natural snow, Snow Valley has a special area designated for sledding and snow playing. Snow Valley is a proper winter resort but it’s much smaller than Snow Summit. The snow play slopes at Snow Valley are well groomed and perfect for small children. The Snow Play area at Snow Valley looks great! Tickets are not cheap but it is a very well maintained area. Our kids loved it! Driving further down the road toward Running Springs there is also a snow tubing area very suitable for small children. It is right by the main road and very accessible. There are many short and steep slopes separated by stairs. Looks like a fun place for little children. This very nice snow play area is right across the street from the hardware store in Running Springs. It is free and has a few really nice slopes. 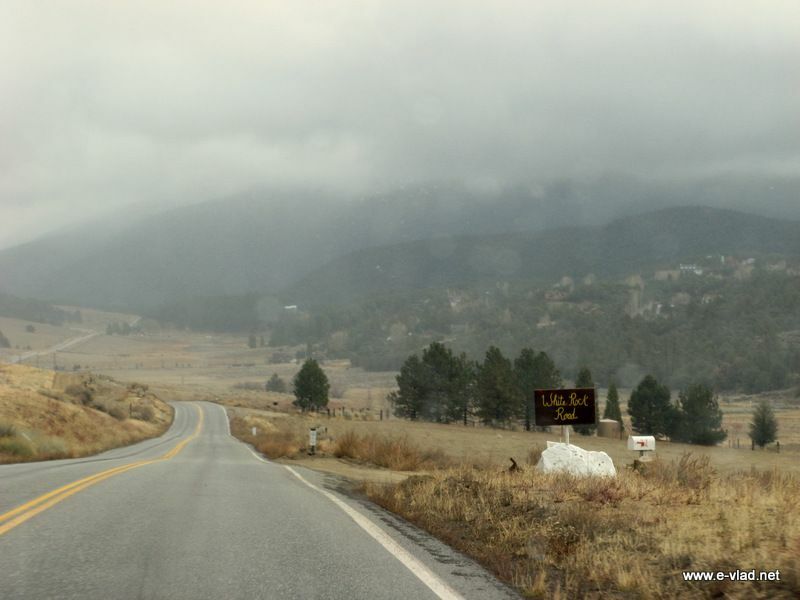 As you enter the central area of Running Springs coming from the 330 highway it comes very fast on your right. Instead of trying to park at the Mountain High resort’s parking lot just keep going up the road. As soon as it starts going up try to find a parking spot on the side of the road. Make sure you purchase a wilderness pass…otherwise you will get a ticket. There are no signs warning about the pass so you just have to know. We were very fortunate because a good citizen gave us his pass when he was leaving…otherwise we would have not known. Once parked, cross the street and find some place on the hill where your children can play in snow…well assuming there is still snow. Most likely you will see other people playing in the snow. When you are planning your visit to the Wrightwood area and need to spend the night here is my favorite budget hotel in nearby Cajon Pass. You can also look for places right in Wrightwood. To get to Frazier Park take the 5 freeway north and exit the freeway following the signs that point to Frazier Park. Follow the road and pass through the village of Frazier Park in Cuddy Valley and keep going up the hill. The road will become steep but keep going until you reach the end of the road at Chula Vista Campground or a bit lower at Mount Pinos Campground. These areas have adequate parking and have good hills for snow play. 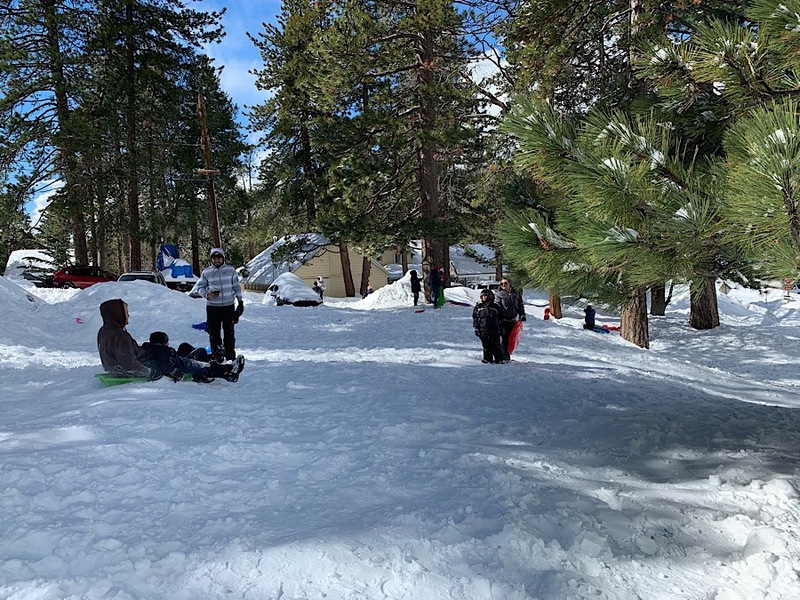 Once you reach the snow on the road to Mount Pinos you can stop around the state campground areas and have your kids play in the snow on one of the hills. There are no official or organized snow play areas. It is up to you to park legally and find a snow area you like. Make sure also the your car displays an adventure pass which you can purchase from the gas station in town. In my opinion, the best snow play areas are at the end of Mount Pinos Road near the Chula Vista Campground and a bit lower at Mount Pinos Campground. 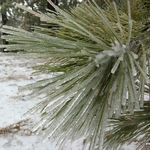 If you are planning a trip to the Frazier Park/Mount Pinos area, see my detailed guide for snow play areas around Mt. Pinos. From Frazier Park just take the road towards Mount Pinos and go as far up as you can, or until you find a good patch of snow by the side of the road. Just park get your kids out of the car, give them a sled and let them have fun. Big Bear is very busy from before Thanksgiving to after the New Year holidays. How busy is it? It is so busy that the lift lines are at least one hour long and there are very few hotel rooms available. You need to book your hotel for in advance if you want a decent price and good location. Big Bear Snow Play website. Running Springs Snow tubing area. Frazier Park current snow conditions. Palomar Mountain current weather report. 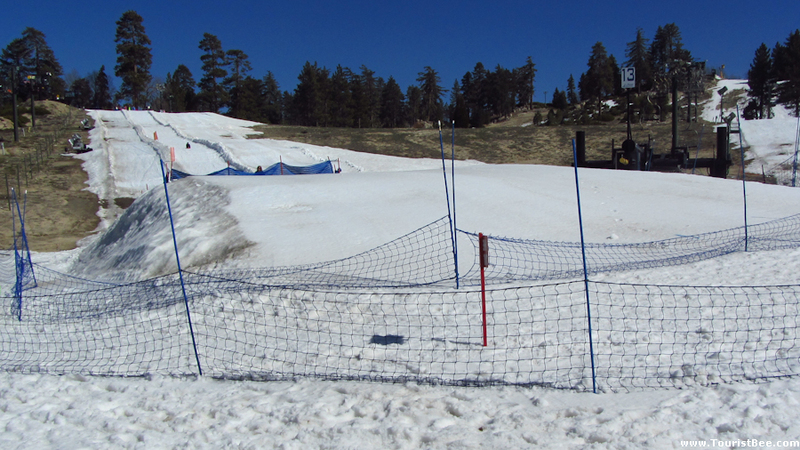 You can also check out the Palomar Mountain Snow Play Facebook page for latest updates. Julian is another popular snow play area for San Diego residents. It is located at a lower elevation but can still get some snow in the winter. Check out the snow report for Julian, California. You can also find best hotel rates at my favorite B&B in Julian. Mount Laguna is another snow play area close to San Diego. Here you can find the latest weather report for Mount Laguna. P.S. Please let me know if you know of any other commercial or non-commercial snow play areas for small children in Southern California. 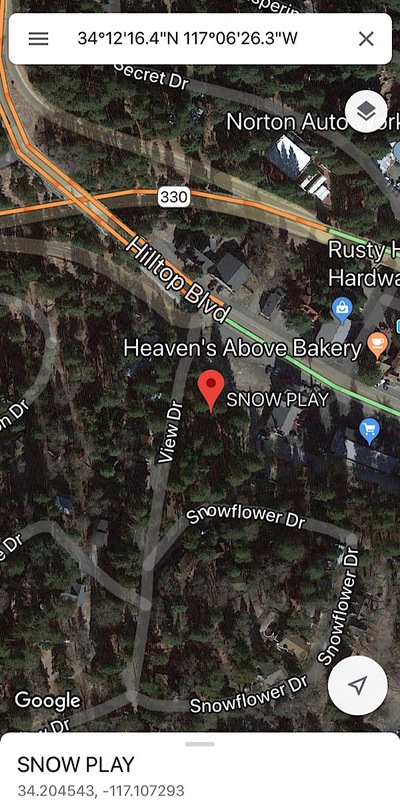 I would strongly discourage anyone from snow play in Running Springs behind the hardware store or any place that’s not clearly designated as a snow play area. This is someone’s private property and private property isn’t always marked by fences and signs in the mountains. Running Springs as well as all the other nearby mountain communities end up with quite a bit of trash and debris afterwards, despite the best intentions of most of the people coming up for snow play. Just enjoy the areas clearly marked as snow play areas. KC…let me see what I find out. If I do I will add to the article. Peter…I have replied to you via email. You can send them via email. i know many places have a minimum height requirement of 36″… how about some of the ones you listed? Hi Vlad, Living in Lake of the Woods near Frazier Park. Have some good photo from this year. Not sure how to get them to you. Thank you Andrei…I didn’t know about Jackson Lake. I will probably try it this winter maybe. Nice article. I’ve been to Big Bear w/ the family and wasn’t too impressed. The areas around Mountain High are nice but can get overly crowded once you pass up the ski/snowboard resort. One of the best places I’ve noticed for free snow play is Jackson Lake just below Wrightwood. The easiest way to get there is through Hwy 138, Pearblossom Hwy, and go through the back roads. You bypass all the traffic that’s trying to go to Mountain High. And I love Mt. Pinos when we do get a good abundance of rain/snow in the area. They have the best free snow play area out of the three in my opinion and isn’t as crowded as the other two. There are plenty of areas where people can pull off to the side of the road and have their children play in the snow. Yanira…thank you. Yes I do accept guest posts but only if they come from first hand travel experience. Nothing generic or copied from the internet. This blog is really cool. I have bookmarked it. Do you allow guest posting on your website ? I can provide high quality posts for you. Let me know. Roxanne…if you are looking for commercial places then Big Bear Snow Play or Mountain High Snow play would work. If you are looking for unorganized and free places…Mount Pinos is my favorite…through Frazier Park and up to Mt Pinos. Take chains with you and check my link with the weather and road report. Looks like they have close to a foot of snow and the road is open. It’s about 2 hours from Ventura. Diana…either one is fine. Not sure Frazier Park has snow. Check the weather using the link in my article. Wrightwood has more developed slopes simply because more people go. Vanessa… Looks like a warm weekend so the roads to Big Bear should be clear. You probably don’t need chains at all. As far as clothing goes just have your kids wear some ski pants so they don’t get wet. Wanted to take my boys this weekend to see snow. Enough to play in, sled, tube, etc. I have a Honda Pilot, will this suffice or will I need chains. Also, what kind of clothes will they need to wear? This is their first time as well as mine. Appreciate your help! Were u thinking is better for my girls frazier park or wrightwood pls let me know. Does anyone know if there is any snow in Frazier Park/Mt. Pinos right now? Our family was hoping to go up tomorrow. I live in the San Gabriel Valley, Do you know whats the closest spot that actually has snow? Lori… If you take the tram up the mountain I am sure there is snow there. Is there any place near Palm Springs I can take the kids to see snow? Anyone know if there is snow in Idlywild? Has anyone been to Mt Baldy recently after this past storm we had? Please let us know if their is snow enough for kids to use there sleds and tubes. Any other places anyone would recommend to go besides mt baldy and it’s free ? Thank you great web site ! Rudy… Mt. Baldy should have enough snow for sledding. I think it should be fine. Let us know how it goes. I’m thinking of going to Mount Baldy tomorrow. Do anyone think it’s a good choice. I want the kids to be able to go sledding with their own sled. If not where is a good place? Ana… I am not sure about OC. There might be a few places closer to San Diego that may have snow. 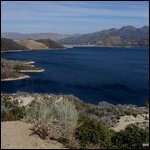 Here is a link with snow places near San Diego. Here are also a few other ideas for snow play. Steve…it really depends on how much snow there is on the road to Mount Pinos. I have never needed snow chains and I do not have a 4wd. If you get to where you need a 4wd…then there should be plenty of snow on the side of the road to play with. At least that has been my experience. Hi, I want to take my kids to the snow, but I’ve been hearing it’s snowing in closer places ( I reside in Orange County) & was wondering if you knew what cities/areas nearest to OC are snowy. Maybe I can find a park nearby to introduce my boys to the snow (: thanks! This site has been helpful. I want to take my son tomorrow to try to catch some snow. Where he can make some snowballs and maybe try to make a snowman. But when i look at the link for Frazier it seem that I’ll need a 4wd? This will be a first for the both of us. I REALLY WANT TO GO TO BIG BEAR BUT MY HUSBAND IS SAYING IS THERE ANY WHERE WE COULD GO THAT WONT REQUEST SNOW CHAINS ???? Fiona…judging by the latest snow storm that brought 12″ of new snow on Big Bear, the San Bernandino National Forest should have some snow at higher elevations. 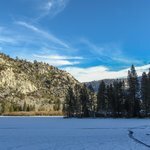 Does anyone know if there is any snow in San Bernardino National Forest? I’m from the South Orange County and that’s seems to be the closest snow place for young children. Any advice? Just passed (12/31/2014) from Grapevine through Gorman on I-5 and it looked like a dusting of snow on the very top. So probably very little snow at Frazier Park, but you will probably find snow up towards Mount Pinos according to this website. Also wondering if anyone knows if Frazier Park has snow? No…there is no transportation to Big Bear. There is a shuttle however between the two resorts Snow Summit and Bear Mountain. The road to Big Bear is a bit windy but very well maintained and it is not a problem at all to drive…90% of the time. Do they offer transportation up the big bear mountain, for those nervous to drive up the hills? Luis… Most of the times these local trips do not require chains. However if you happen to go right after a snowstorm then you will need chains…the police will not allow you without chains. Just check the road conditions before leaving.